Find HDPE Pipe Fittings, Plastic Pipe Fittings, PE Pipe Fittings on Industry Directory, Reliable Manufacturer/Supplier/Factory from China. 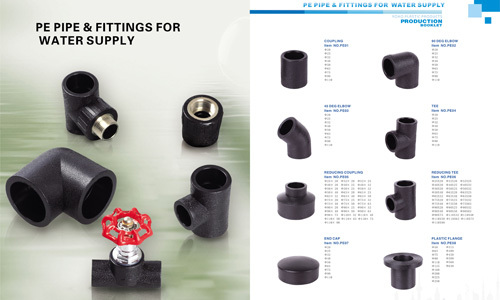 Product categories of PE Pipe Fittings, we are specialized manufacturers from China, HDPE Pipe Fittings, Plastic Pipe Fittings suppliers/factory, wholesale high-quality products of PE Pipe Fittings R & D and manufacturing, we have the perfect after-sales service and technical support. Look forward to your cooperation! JESSRO Polythene (PE) pipe fittings are all using fresh original materials. And all the materials are PE100 only .This materials can guarantee our PE fittings be able to meet the SDR11 standard. We have all the size from 20mm to 800mm in a full range items.